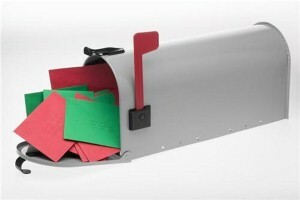 It may seem too early to be thinking about sending out holiday cards, but early planning may save dads a lot of money. For many, sending a holiday card is a tradition that’s become almost out of control. The lists are longer than ever and the types of cards available are endless and expensive, in many cases. While a lot of parents want to send a card including the perfect picture of their families, children or pets, there are ways to make this tradition a little less stressing on the wallet during a traditionally stressful time of year. First of all, decide whether this is truly something that is important to you. If you’re sending cards only because you always have and feel like you should, just skip it this year. That’s among the money-saving advice from About.com’s Erin Huffstetler. She also suggests pairing down your list to exclude anyone you’ve lost touch with or to include only those people who you won’t see during the holiday season. Many online printing websites are already offering big discounts if you order your cards early. Vistaprint.com, Shutterfly.com and ChristmasCardsDirect.com are among some of the sites offering steep discounts and often free shipping if you order before the December rush. Making holiday cards with your kids may help dads save money as well. You can spend as little or as much as you want, depending on your design. Craft, stationary and office stores have many ideas and options for do-it-yourself cards, including holiday-decorated paper you can use to write a general update on you and your family to send to everyone on your list. Sending a postcard can be cheaper, too. Either homemade or store-brought, the materials and postage will save you some dough. Sending an e-card to those on your list may be a good way to save money too. Search online for websites you can use to create and send one for free. AmericanGreetings.com and Evite.com are among the many that offer designs for free. And, remember to search for left-over cards after the holiday season to use next year. You may save as much as 75 percent and be able to avoid the stress next year!